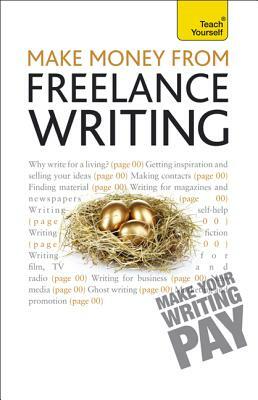 "Make Money From Freelance Writing" takes you step by step through every avenue for making an income from professional writing. Covering everything from travel writing to writing self-help features and full-length book commissions, the book also includes writing for new media and the practicalities of finding a route to market oneself. Each chapter contains a diagnostic test, case studies, practical exercises and Aide Memoire boxes. Readers will find a reminder of the key points at the end of each chapter (Focus Points) and a round-up of what to expect in the next chapter (Next Step). Claire Gillman has written professionally for more than 25 years. She has written over a dozen non-fiction books ranging from a documentary style review of The Parachute Regiment to guides on raising teenage sons and living with aging parents. Claire is currently an editor for "Writers' Workshop," specializing in non-fiction. She has also run and organized numerous writing courses and workshops, both in London and at residential centres.